On today’s show: Andi Smith and her new book: Big Foot Knits! Andi Smith is a knitter, crocheter, embroiderer and can now add designer/author to that list. She is originally from Yorkshire, England, but has lived in the US for over 20 years. She is a mom and special needs advocate volunteer. Her first book, Big Foot Knits has just been released by Cooperative Press. Available in both paperback and e-book. Comment here to be entered to win an e-book of Andi’s book as well as a skein of super yummy yarn!! Leave your comment here, and make sure you use the code word that Andi gave on the podcast! Other business: Marly is starting something new! For all of our loyal listeners, Marly is giving you a weekly pattern deal! Marke sure you listen to the podcast for Marly’s weekly coupon code, which you can use for one week, for 50% off any pattern in Marly’s Ravelry pattern store. The coupon code will not be listed on the blog, you can only get it if and when you listen! Did you get this week’s coupon code? This podcast is sponsored by: Knitter’s Magazine, Craftsy.com, Fiesta Yarns, Decades by Drew Emborsky, Love of Knitting, Love of Crochet and Bijou Basin Ranch. Hi Marly, I loved the podcast and the mystery word of cankle. I was as surprised as you that she chose it. I love the ardwinna sock pattern as well as Marama. I’m new to socks and thank you for your podcasts and guests. I don’t quite have cankles, but I do have large calves 🙂 I love the ability to change socks to fit your feet perfectly, and Andi’s designs are so beautiful! Cancles Beware! Another great podcast! It was wonderful to meet Andi and listen to her story…what a beautiful person. Thanks, Andi for your generosity, and thank you, Marly for such great opportunities! I have yet to find sock success… not because of cankles, but because my feet are size 10 narrow and whatever else. This book sounds like just what I need! Cankle is a word I should use in a poem! I have a million problems with my feet (too wide at the front, skinny at the heel, high instep…..) But cankles (or is it kankles) isn’t one of them. Gotta have one thing working for me!! Oh, and I’m also part of the massive-calf club. I don’t have much of an arch, so I continue ribbing down the top of the foot to help socks fit. I have slightly duck feet and no canckle. Love the podcast! I’m just learning to knit socks – I’m sure the book would be a big help even for those of us who don’t have cankles! Great podcast; thanks! Finally a book to help with those cankles!! I don’t have cankles but I do have wide size 10 feet with narrow heels. My poor hubby wears a size 18 and this book might be just what I need to figure out how to knit the poor guy socks someday!! My sister has cankles and I would love to make her some of your socks! Wow, my first time listening, and you have Andi on as your guest. When I heard you talking about big calves and cankles, which I have, I had to run and look up the book. I’d love a chance to win a copy! Great show Marly, thanks for the informative interview with Andi Smith. I did buy one of your patterns this week using the discount code and it was one I had in my favorites already! Woohoo! Thanks for the discount. Oh I completely forgot to mentions that I don’t have any cankles about buying any of your patterns! I bout the Myra sweater pattern! I dread developing cankles being a smallish person in my late 50’s. Why oh why does this happen as you age??? I always look at sock patterns with an eye to avoid any that make the calves look overly large. I was so excited to hear that you and Andi have large feet as I wear a 10 or 11. I used to wear 9.5 narrow and while my feet have grown, I actually have never had a problem with cankles. I feel for those who do. I enjoyed the interview quite a bit. Just finished listening to this episode (been a long week) and while I don’t have many issues with making socks fit such as cankles, I am diabetic so comfortable socks are important for sleeping in and I’m working on arch support (as someone else posted earlier). 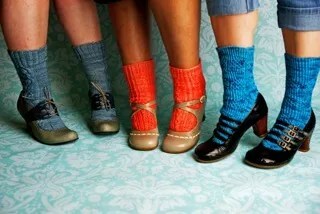 The Cooperative Press had the pictures at Sock Summit 2011 (sigh, the last one…) and I remember thinking HOW FUN! that photo shoot must have been. Can’t wait to check out the patterns and the thoughtful ways Andi recommends to modify a sock to fit. Personal fit socks… as with all handcrafted things ~ What a great concept! As a mother of two I had my fair share of cankles . With my first my feet and cankles got so big I could not even fit into shoes.. I had to wear size 13 crocs everywhere! towards the end even the crocs left marks in my feet. My Canklie feet have went down but not the size of my foot… Before baby one I was a size 10 now I am a 11 1/2!!!! Insane!!! Size 12 here. I love the idea of cute feminine patterns for big feet, cankles or not! Thanks for the interview and the giveaway! I may have the average size foot, but my calves are on their way to cankle-ville the older I get 🙂 I don’t feel too bad about it, since one of my cat’s cankles are much worse than mine! I always learn something by listening to your podcast, never heard of kankles before! I’m not sure what cankles are so I’m not sure if mine are big or not. Andi was a delightful guest. I will definetly be on the lookout for her new book. Great podcast. I’m not sure that my generous calves (or heffers as we call them) are cankles, but I sure would like socks that fit them! I love that Andi has created a book for those of use with big Cankoe….? I so look forward to each of your guest Andi sure meet up with the other great guest you have had. I hope to find her book soon. My cankles are topped with large calves. I’ve adapted by messing with gauge — doing the foot with size 0, then increasing to 1, 2, and eventually size 3 as I transition from pre-ankle to cankle and up the calf. I tried messing with increases but never got it down right. I look forward to reading about Andi’s approach. Thank you so much for these patterns! I have cankles. I also have big feet. I would love a book like this! Cankles…. those who do have them bemoan them, those who don’t, don’t understand. Just heard your podcast for the first time loved it esp the Cankles segment!! LOL the socks are beautiful and those shoes wow. would love to learn the skills to alter socks! Thundercalves does describe them well. My new DIL has the cankles in the family. We both would love for me to have your book! Maybe someday I can convince her she needs to learn to knit! Cankles are my issue for sure! Need a good design to hide my cankles! That was a great podcast and I, too was not expecting the word “cankle”! Thanks for the opportunity! 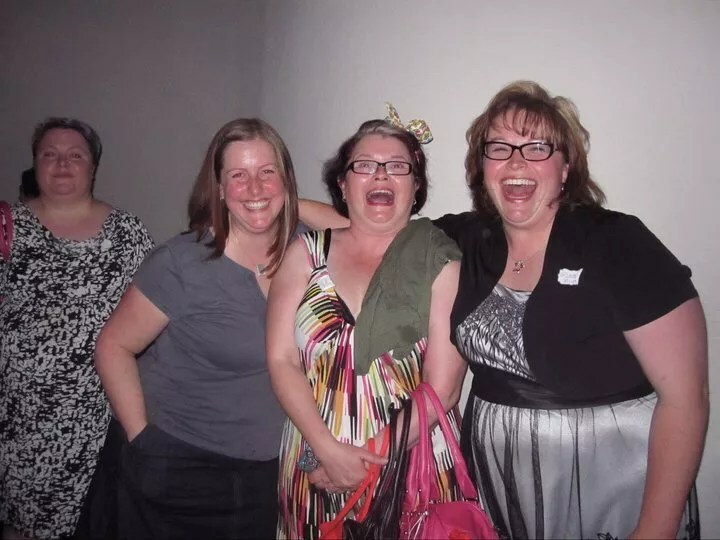 I have just found your podcasts after finding your group at ravelry and your blog. Even though i am late to this one i still enjoyed it. I dont have a problem with cankles but my mom does so i definitely see a great benefit in Andi’s techniques. I love love this new weekly pattern deal! So hate that i missed this one!! I have favorited your Hydroponic for sometime! I will have it soon anyway. Very classy and elegant with a chic but sporty look. You have many beautiful patterns and i have to decide which to get first. I knit and crochet so i love that you also do both! I would love a copy of this book. It sounds great, and I’d love to learn how to measure and fit socks to my unusual cankles. My problem is just the opposite of cankles – scrawny, scrawny ankles. I don’t know which is worse.